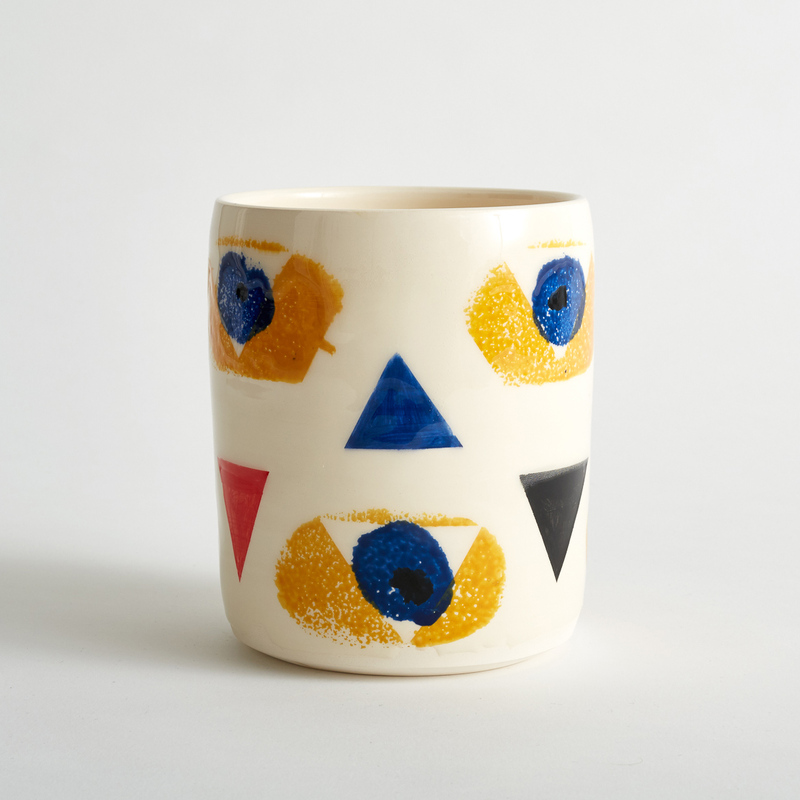 Ceramics collection launched in collaboration with Nikki Tibbles Wild at Heart. Clifton Wright’s bold stencil designs respond to his fascination with Picasso’s cubist portraits. 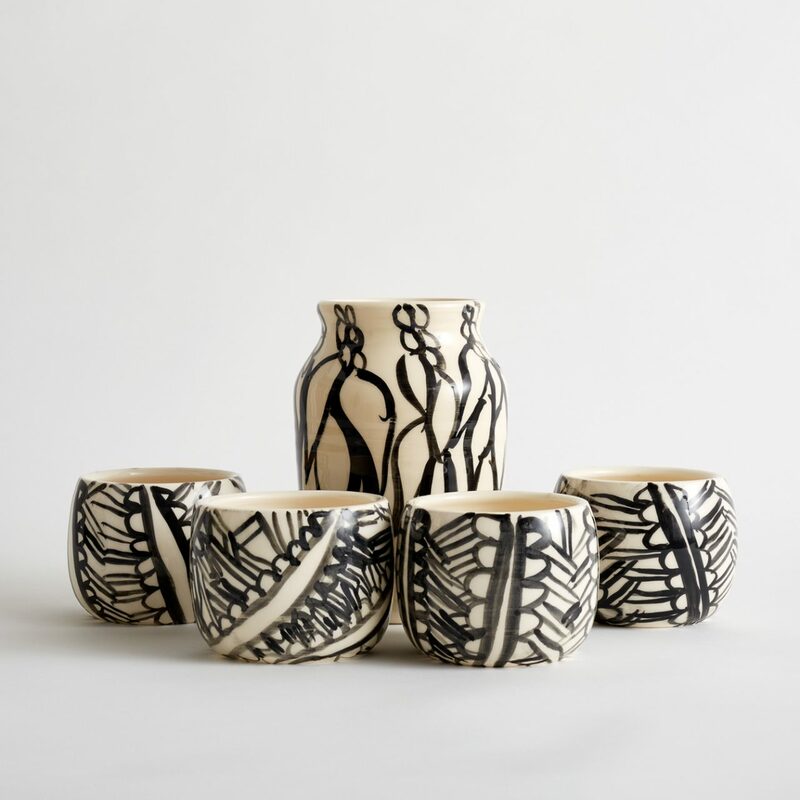 Philomena Powell’s monochrome, freehand brushwork reflects her long-standing engagement with ironwork and foliage design. 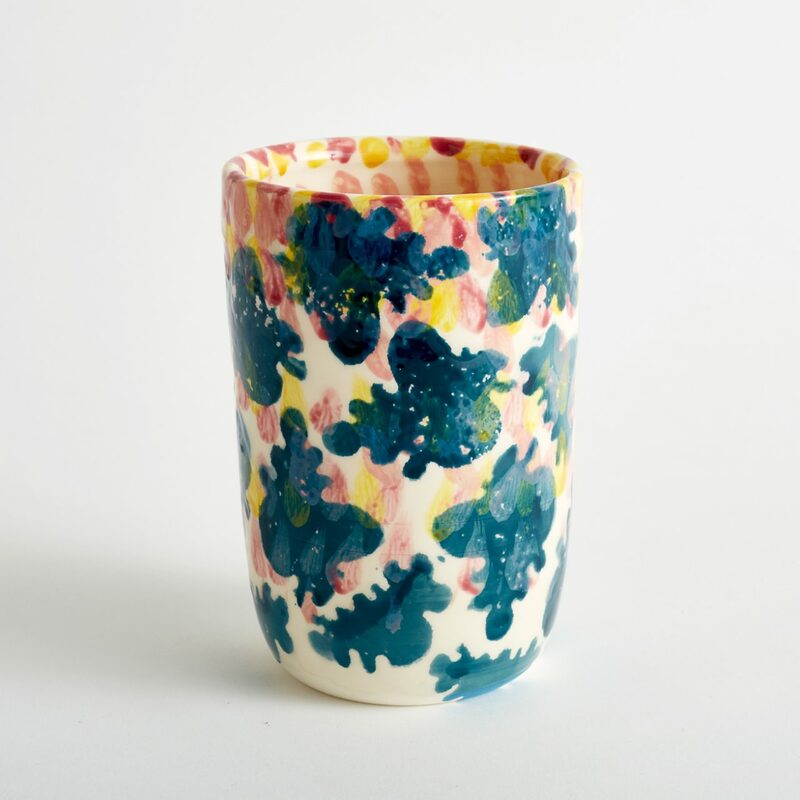 Christian Ovonlen’s colourful hand-printing draws on his interest in Japanese textiles. Yoshiko Phillips uses a combination of hand-painting and monoprinting to realise designs referencing Gothic architectural features. Nikki Tibbles Wild at Heart florists planted each pot, taking visual inspiration from each of the artists’ designs, using locally grown and seasonal planting, and creating bespoke arrangements of cut flowers, for a truly luxurious finish to the unique vases. 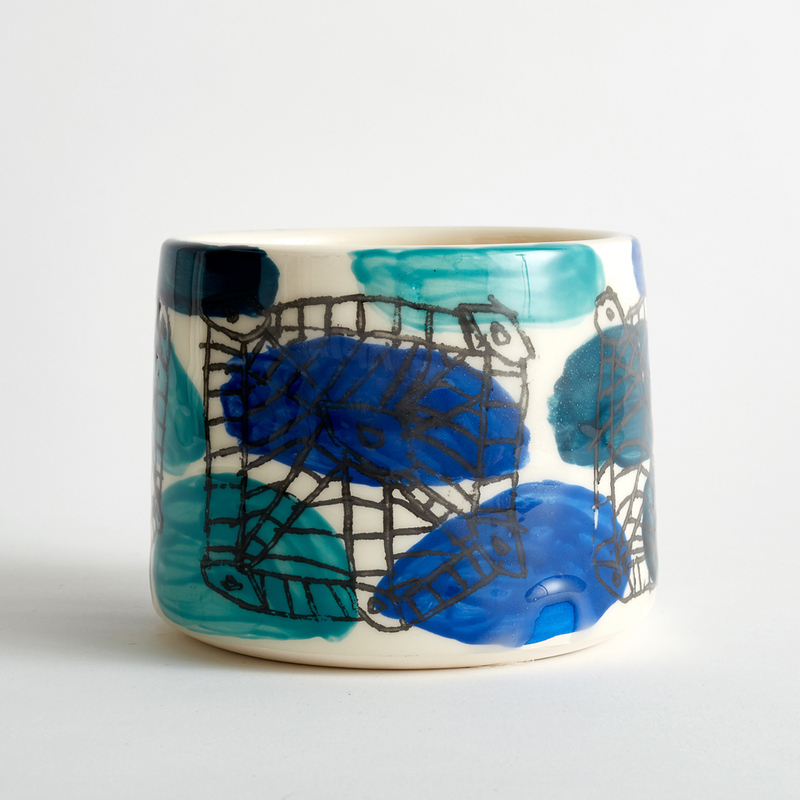 The artists drew upon their extensive visual archive to create a series of hand-glazed pots working with ceramicists Pip Hartle and Miray Mehmet at Standpoint studios. Each vessel shape and surface design was developed by the artists over a number of weeks to realise the final four ceramics collections. © Intoart and the artists. All rights reserved. We respect your privacy and will not share you’re contact details with anyone else. By subscribing to this mailing list you consent to receive updates about Intoart’s public programmes and about artists or designers working in the Intoart studio.